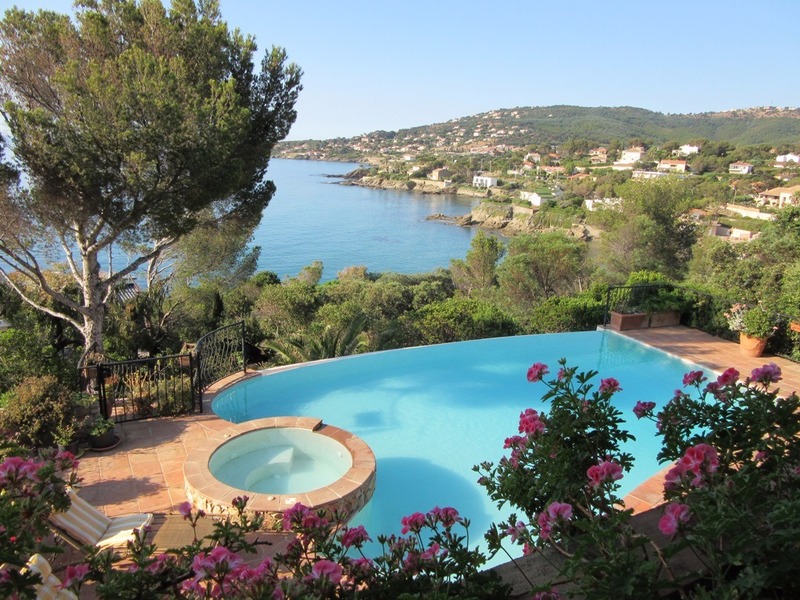 Villa in Provence with a private swimming pool at garden level and a remarkable panoramic view over the coast. 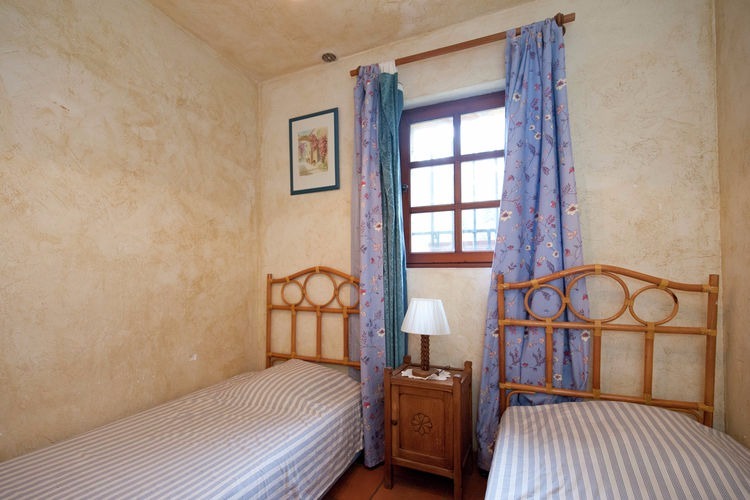 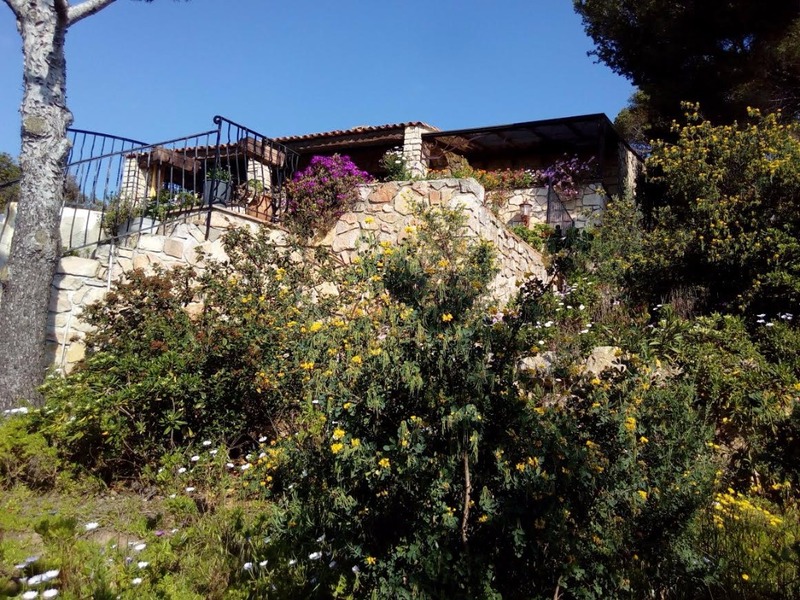 Able to accommodate up to 8 people, the 100m2 villa has, amongst other things, 3 bedrooms, 2 separate WCs, a fully equipped kitchen and 2 terraces, one of which is partially covered. 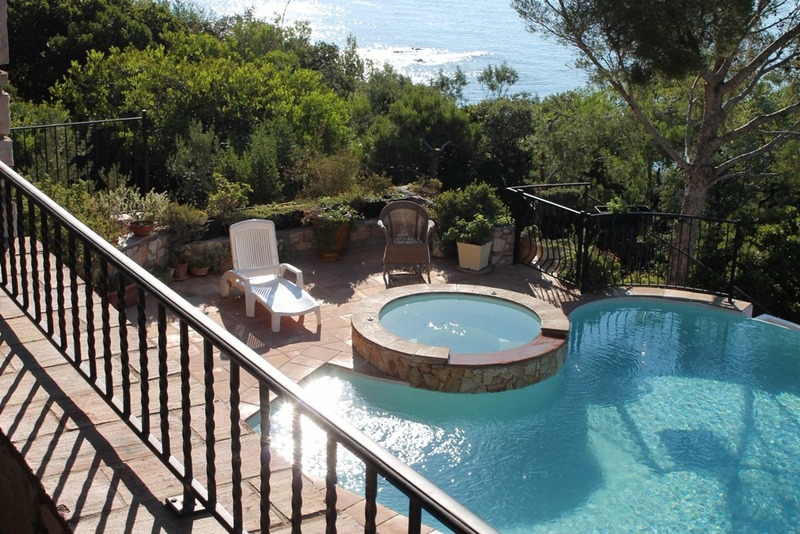 Downstairs, the pool is secured with gates, so the young children can’t open the doors of the gate. 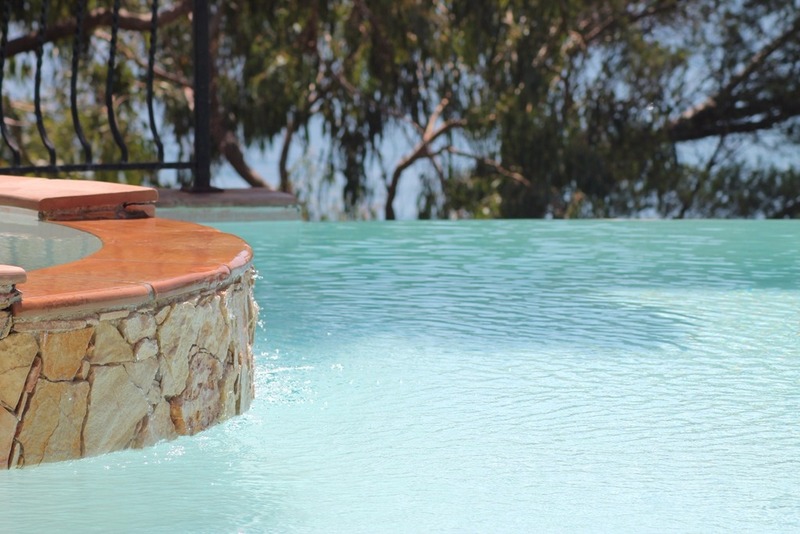 The pool is situated in the south place, sheltered from the wind and looks. 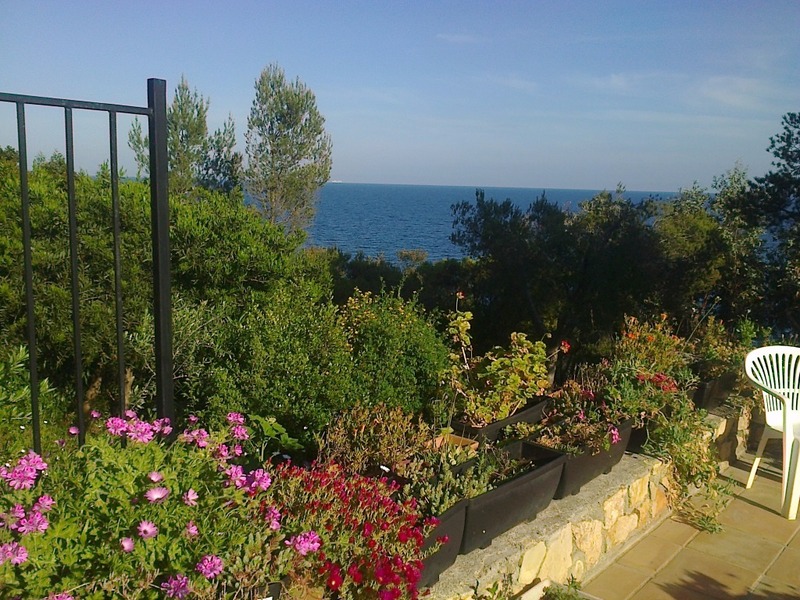 Its dimensions are about 4m x 7m , depth 50cm in roman steps up to 2m50. 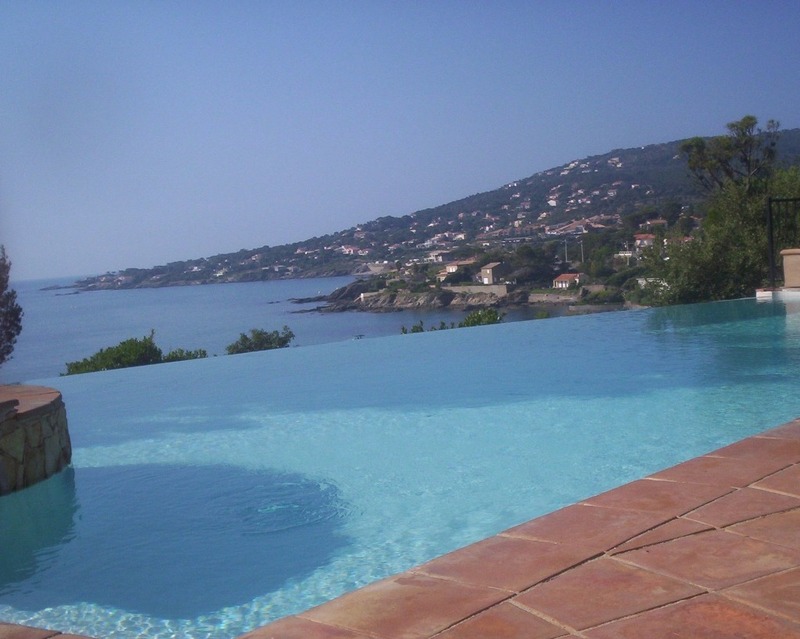 In winter, the swimming pool is covered over mid-October to April, depending on temperatures. 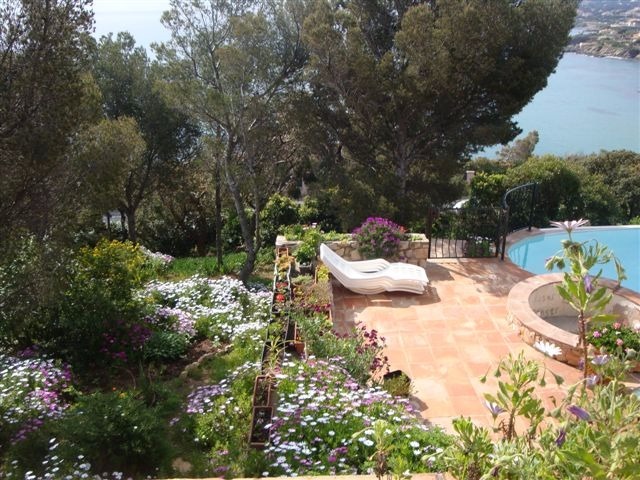 The 2500m2 garden is enclosed for visitors greater comfort. 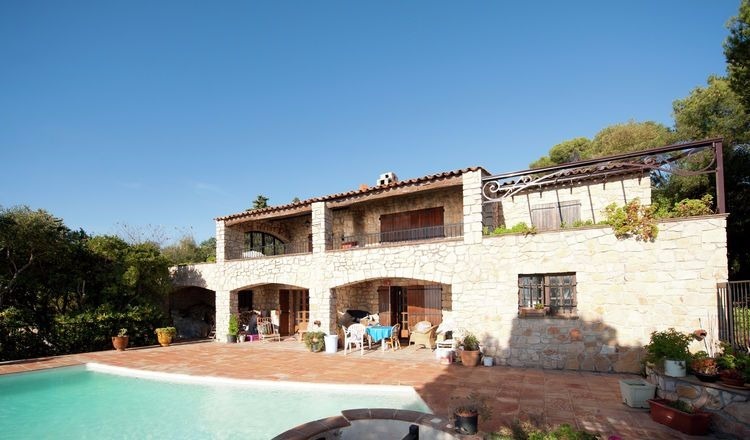 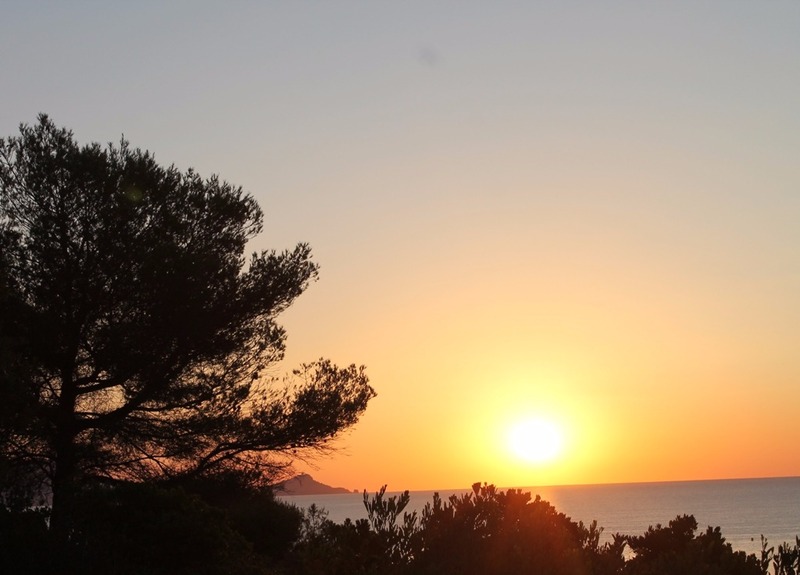 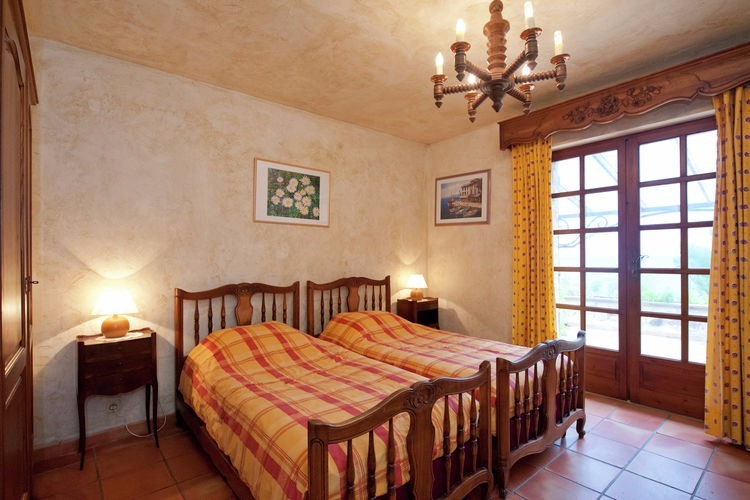 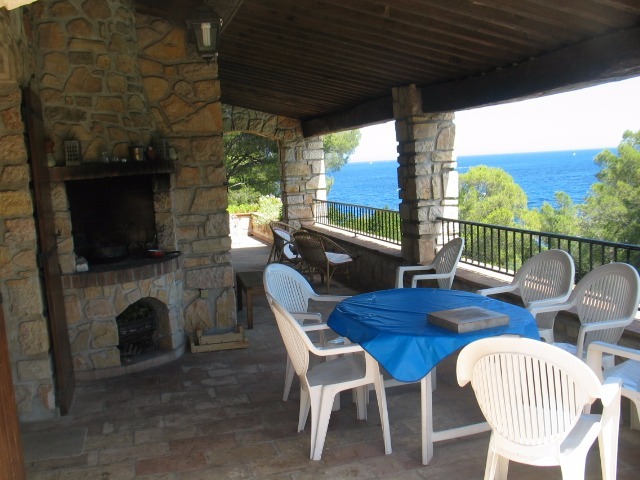 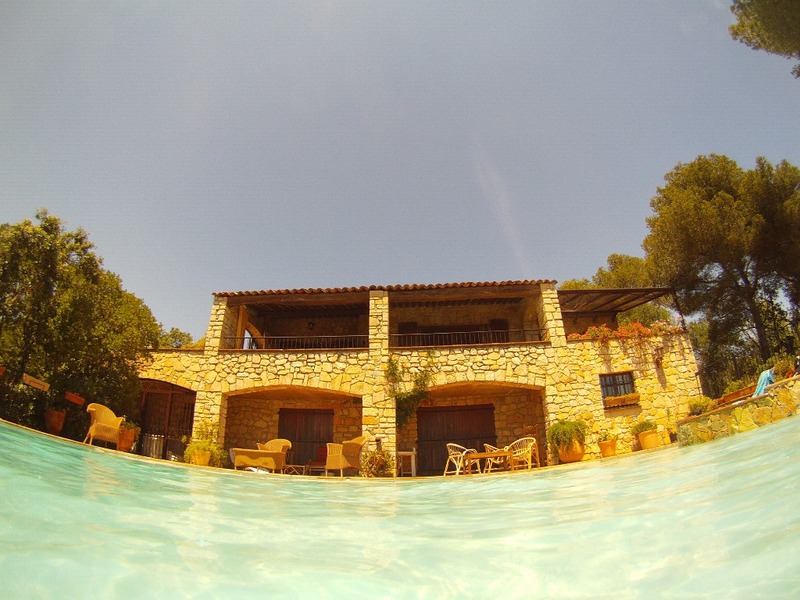 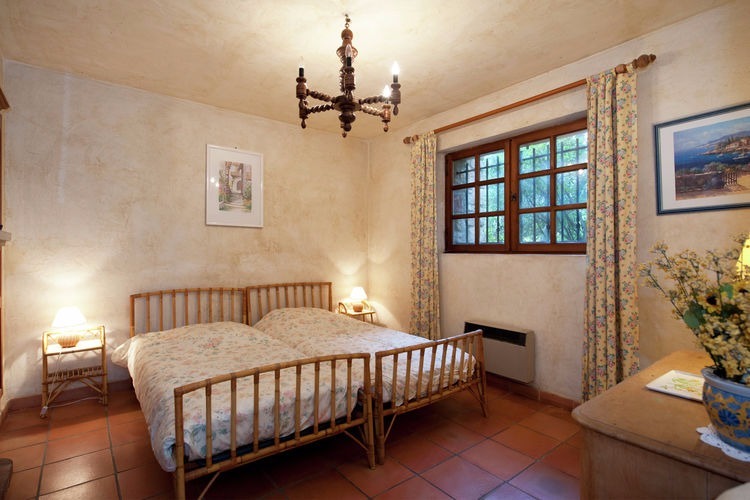 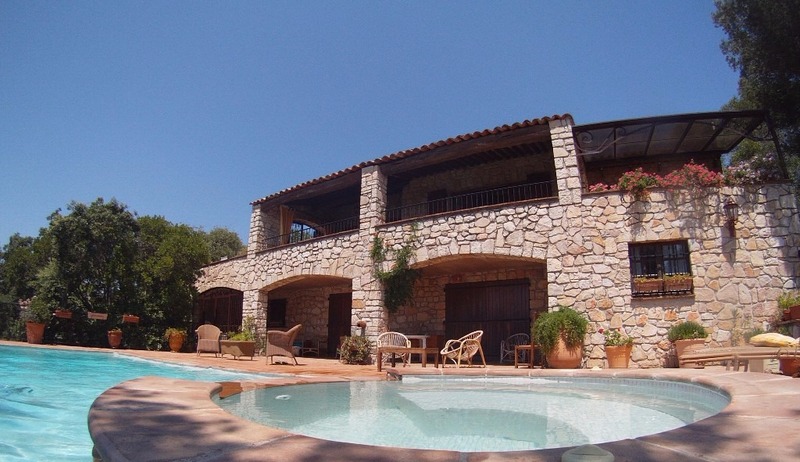 Situated at 200m from the sea and the regional road between Fréjus and Sainte Maxime, the villa is very good situated to visit the surroundings. 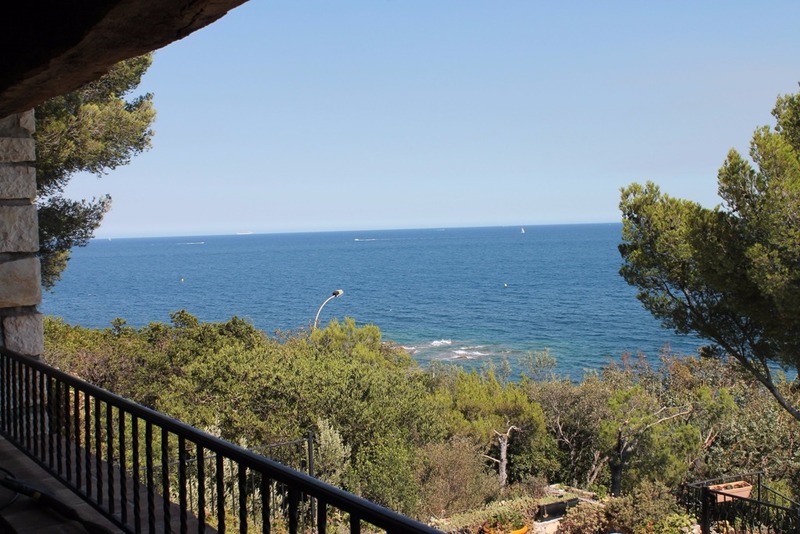 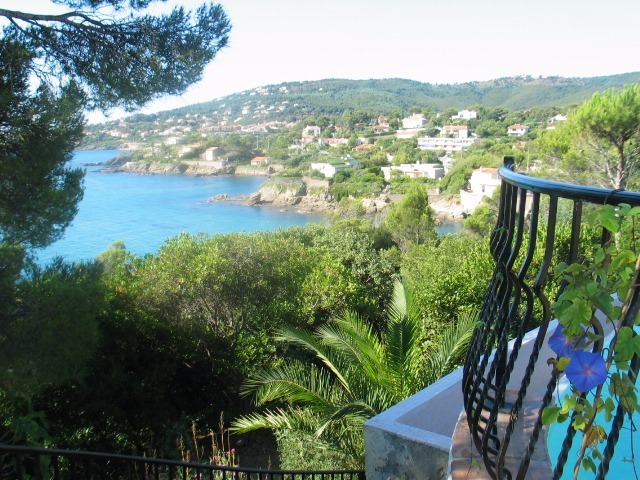 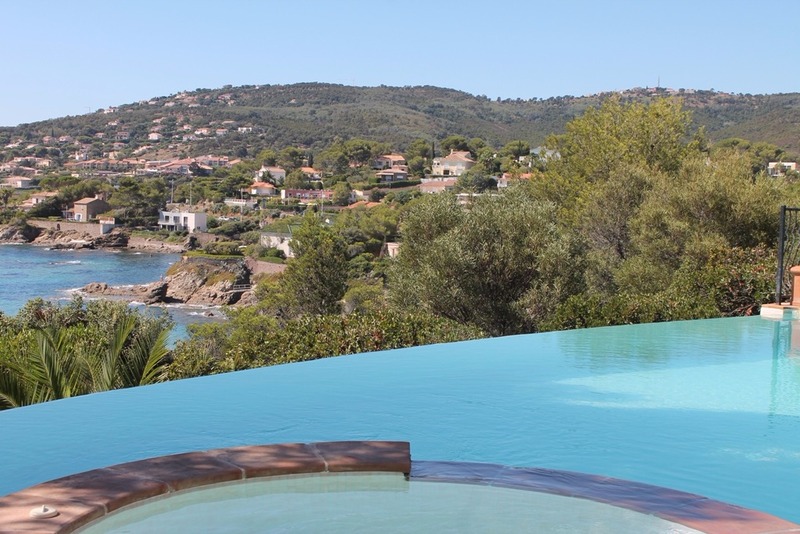 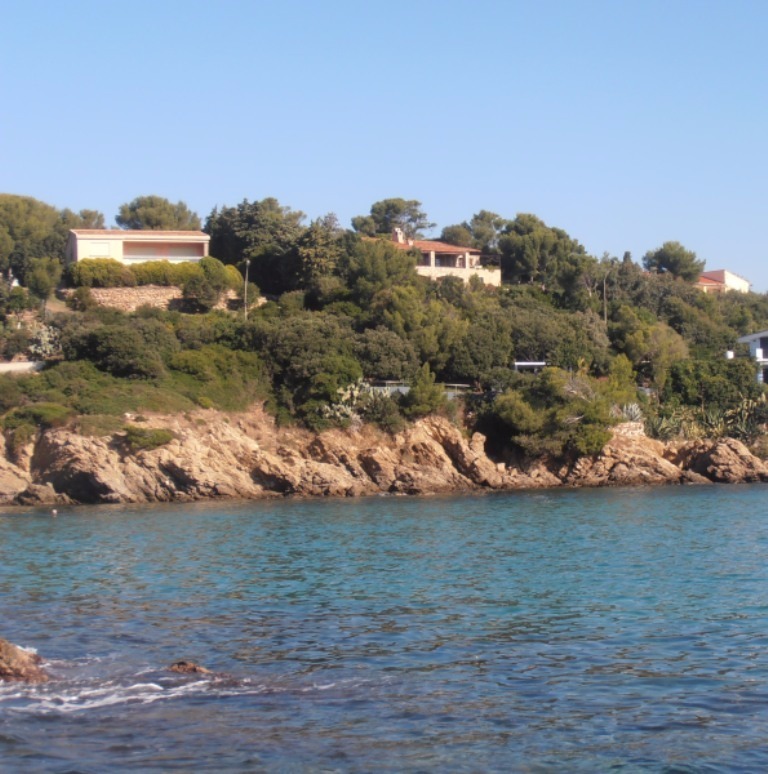 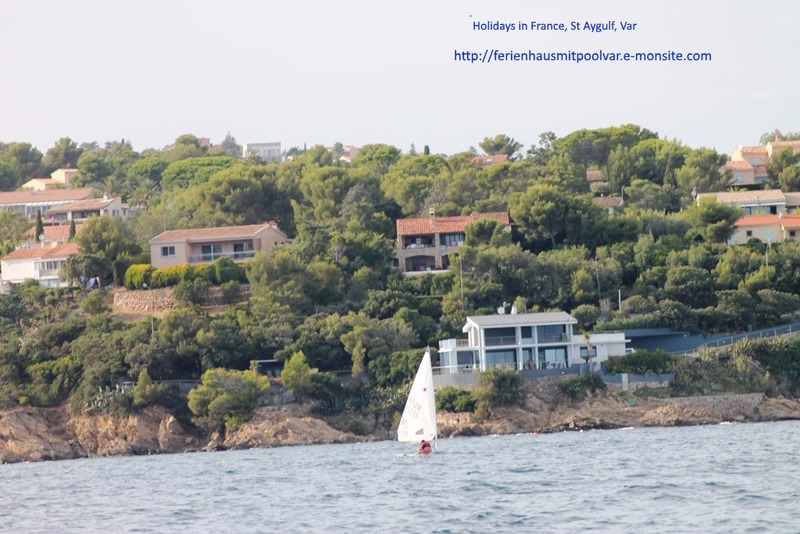 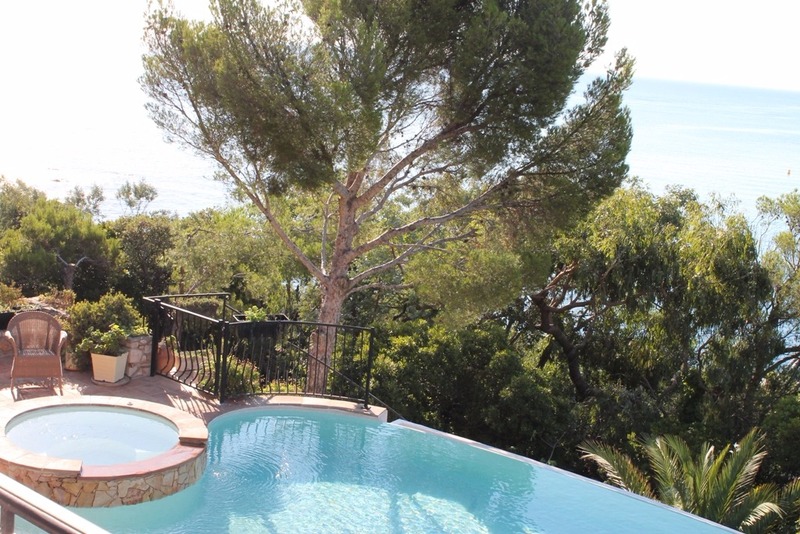 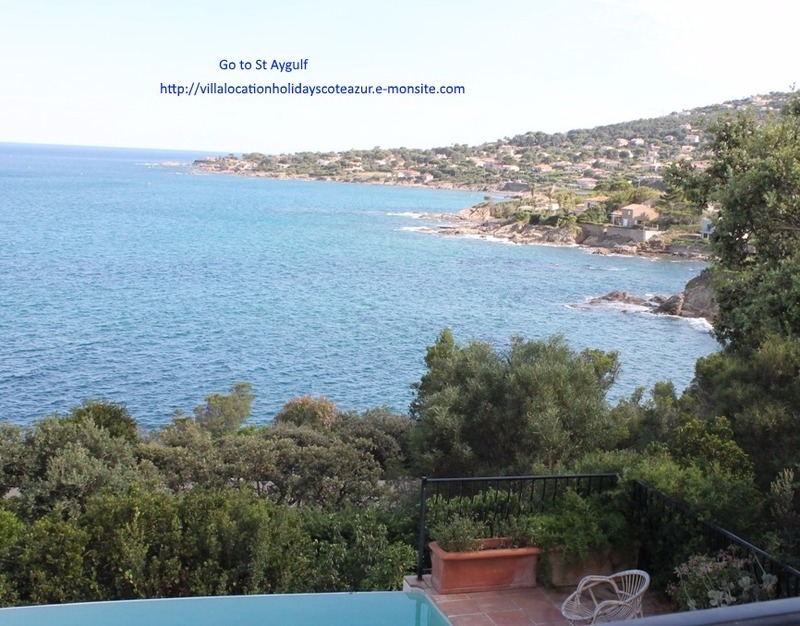 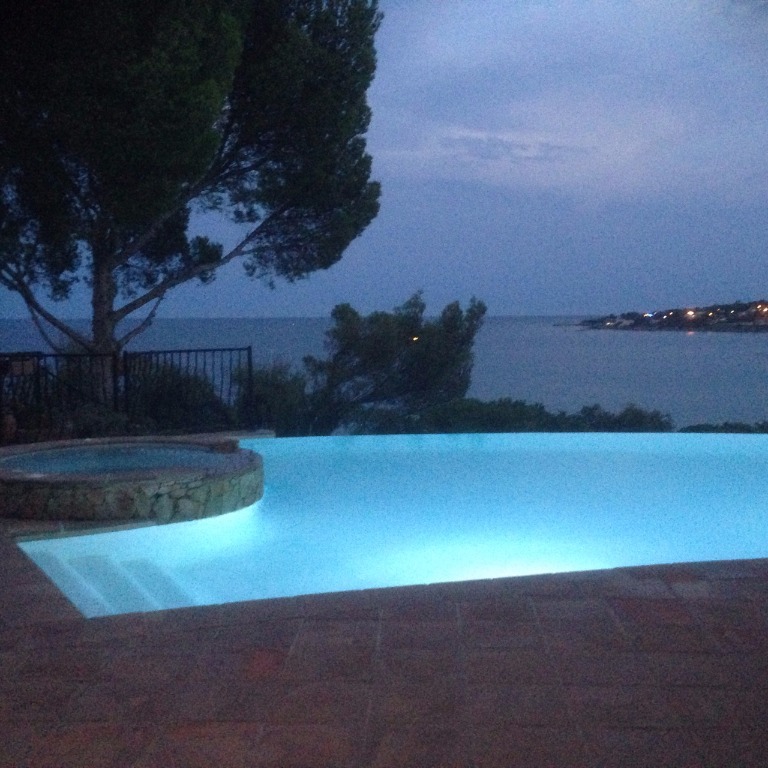 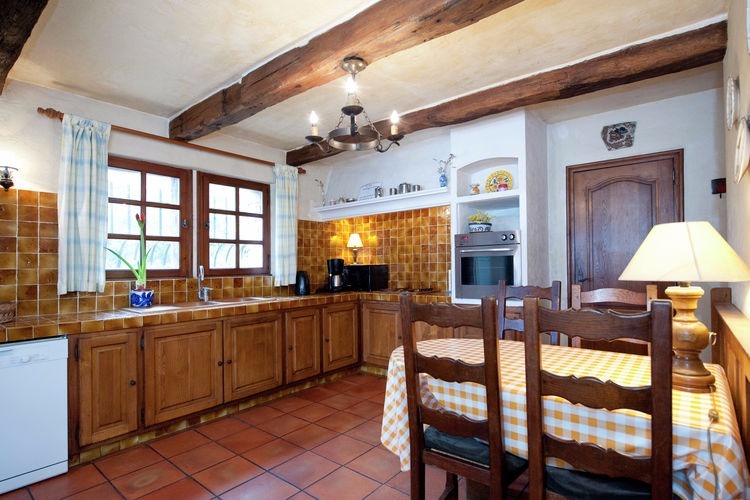 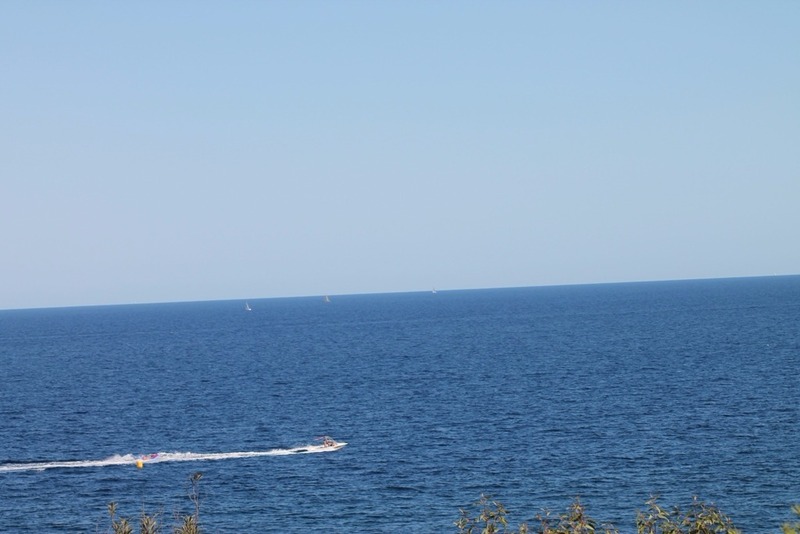 The villa is also situated 20 minutes from St. Tropez by coastal shuttle and only 10 km from Saint Raphael, and is also close to the centre of the village of St Aygulf and Fréjus. 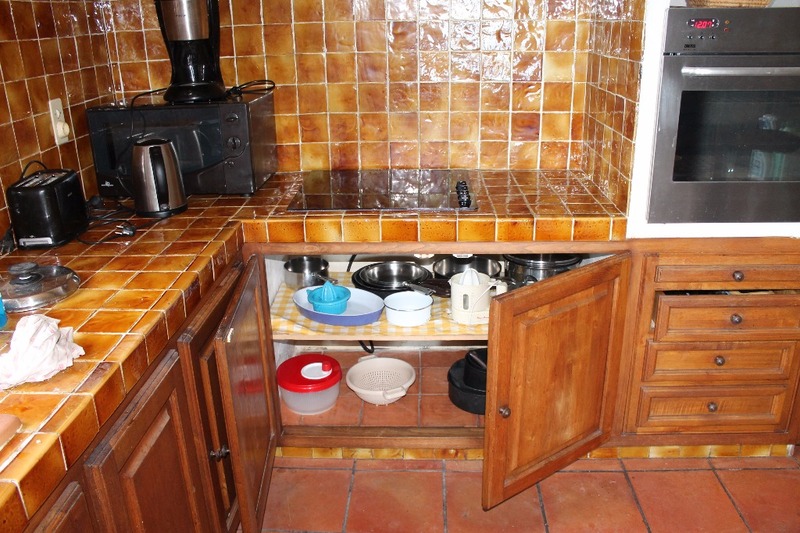 NB: There is also a private studio apartment with a separate entrance at garden level which may be occupied by the owners . 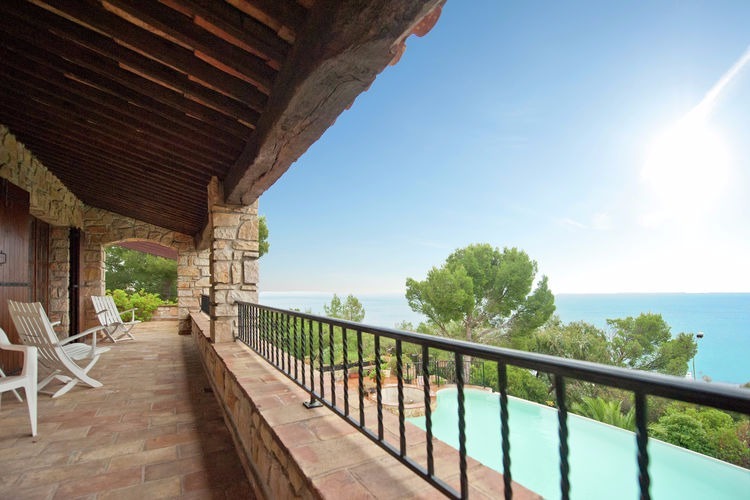 Villa , 100 sq. 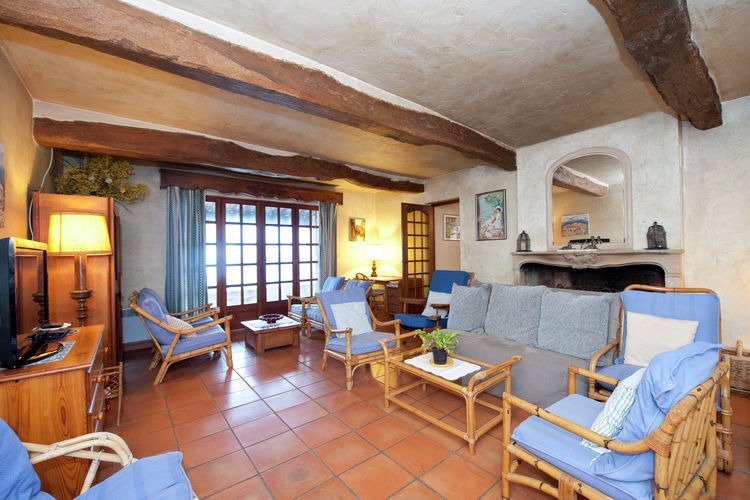 m.
Keywords: -for your intimity the terrasse has a roof and a big glass door. 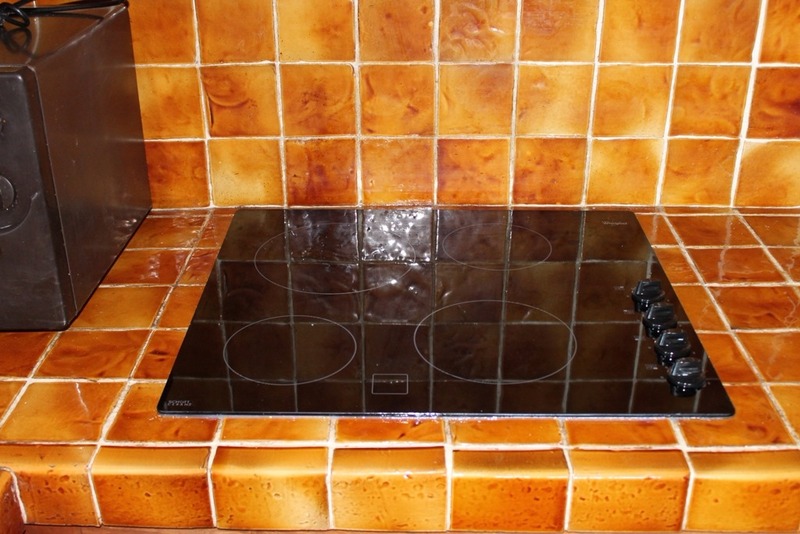 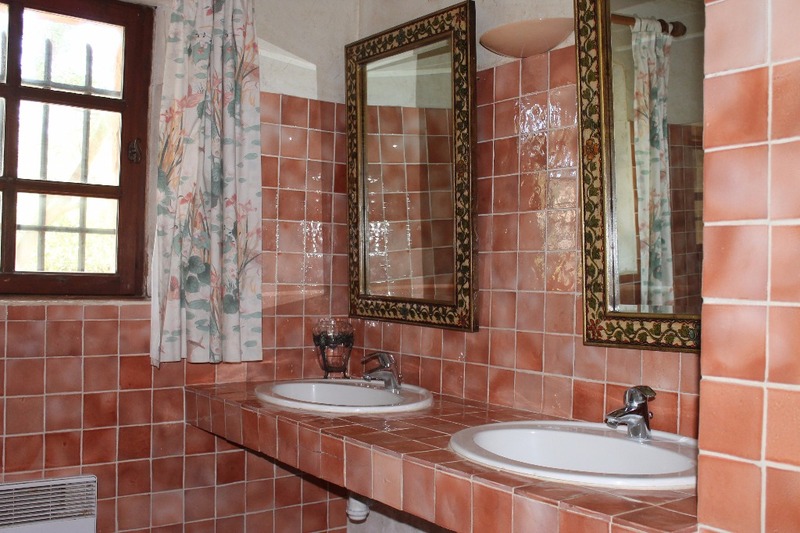 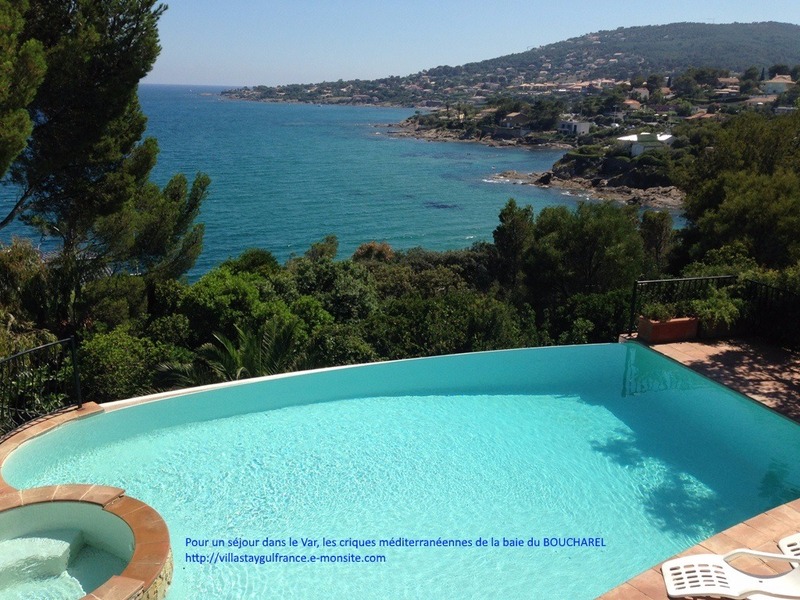 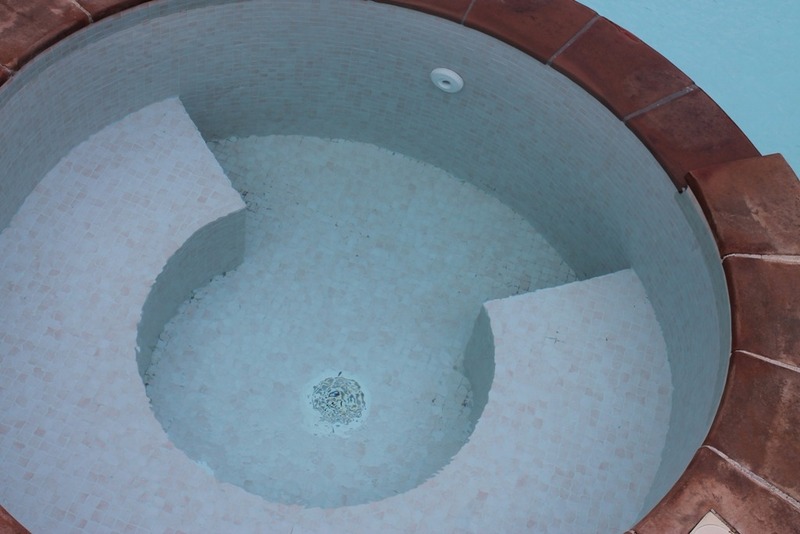 so your kind will not be abble to access the pool -the south side of the house will give you a panoramic view on mediterranee sea -you can light the pool for our bath at night -the villa is equiped with double glazing -the nearest beaches are "le boucharel" "le pébrier"